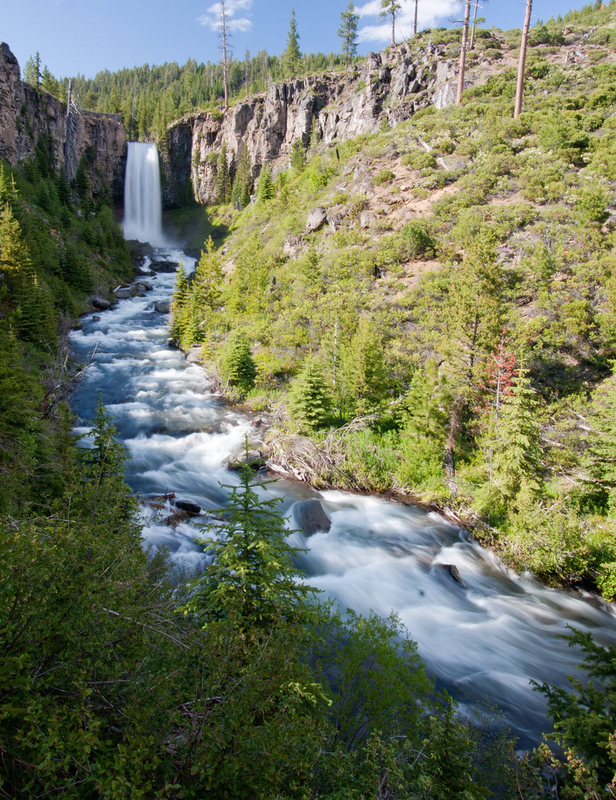 ACTION ALERT: Protect Tumalo Falls! Have you ever been to the magical source springs of Tumalo Creek? The water pours from the lush green mountainside in small streams that weave together several miles up from the iconic Tumalo Falls, eventually pooling into a miraculous oasis of clear, cold water. If you've been there, you know this wild and wondrous creek is not left untouched for long. The City of Bend pipes part of the spring into a ditch that runs down to an intake facility, and all the water they divert means that much less water goes over Tumalo Falls - even if the City doesn't need all of it to serve water users. Now, the City's permit from the Forest Service for diverting water from the Tumalo Creek source springs is up for renewal. The City of Bend has applied to continue using its archaic and imprecise method of diverting water from the source spring. In the future, receding snowpacks and glaciers will impact the springs, meaning less and less water will flow over Tumalo Falls. The Forest Service is not planning to do an Environmental Assessment of the City's diversion of water from the Tumalo Creek source springs, but this beloved waterfall deserves better. Submit a comment asking the Forest Service to do an Environmental Assessment to help protect Tumalo Falls! Send an email to comments-pacificnorthwest-deschutes-bend-ftrock@fs.fed.us with the subject "City of Bend Source Springs Diversion SUP" by August 23rd. The Forest Service should do an Environmental Assessment because no environmental analysis has ever been done on the diversion. Climate change has already altered the snowmelt patterns that feed the Tumalo Creek source springs and future impacts need to be considered. Tumalo Falls is an iconic and beloved waterfall that appears on the cover of the Deschutes National Forest Recreation Map. How does the Forest Service plan to protect the flows over the Falls? The current City diversion is completely unregulated with an open pipe and no head gate. The amount of water the City of Bend is diverting apparently exceeds what is allowed under its State water permit. The Forest Service should require the City to install a system that allows diversion of only what they are legally entitled to. The City’s diversion of water from the source springs should be limited to protect Tumalo Falls and minimum instream flows needed for fish in Tumalo Creek.